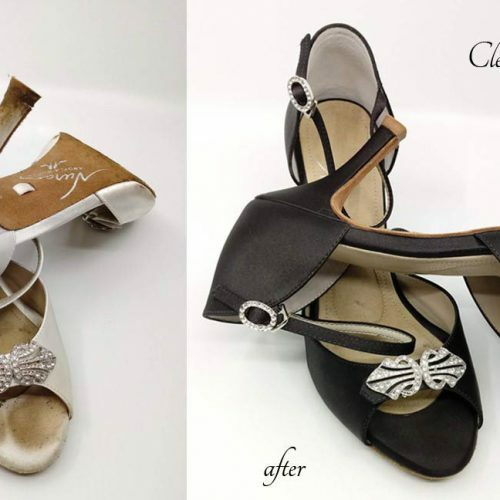 AN Clean & Dye Service | Helping Your Shoes Look Picture Perfect! 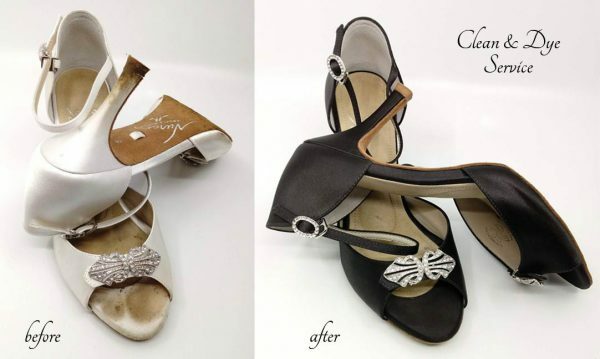 Give your Angela Nuran silk shoes a makeover! For gently worn shoes, specify a standard dye color or send us your color swatch* to match. For heavily soiled shoes, choose navy or black to cover the stains. 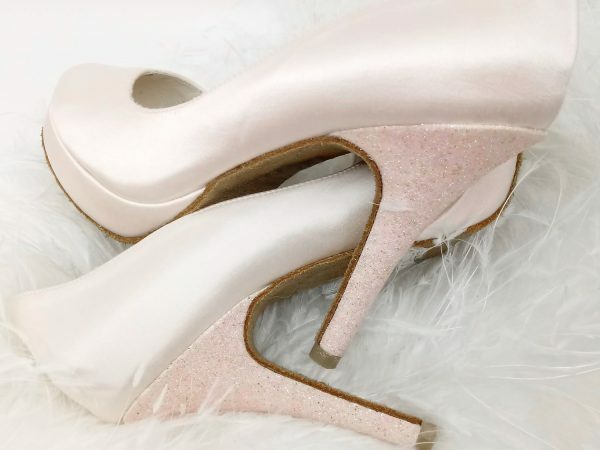 If your shoes were previously dyed, the new dye color must be dark enough to obliterate the current color. Ask us about repairing ripped silk using adornments, crystals or glitter treatment. Read description below for important details. * We cannot redye previously dyed shoes to match a swatch. Color match is only done with undyed shoes.